At Saniservice, we have always raised the bar in terms of cleaning and disinfection. After cleaning your air using Saniservice, Surface using Sanisteam, we introduce to you our Premium Water Tank Cleaning Service In Dubai called SaniH2O. Sanih2o is no ordinary water tank cleaning service in Dubai as we’ll explain below, but it is one of the most comprehensive and professional service that you can acquire in Dubai and UAE. Saniservice extends the same Swiss quality to Water Disinfection that it extends to its other services. After cleaning thousands of water tanks in Dubai, we have come up with a 13 step formula which will enable you to better manage your water tanks and keep in mind while cleaning your water tanks via some professional company. Believe us, when it comes to Water Tank Cleaning and Disinfection, we know what we are talking about. Inspection: The process begins with a Free Water Tank Inspection. Our Engineers and technicians will arrive at your doorstep at an appropriate time after consultation with you. Just to let you know, all our technicians and engineers are approved by the Dubai Municipality and we also perform strict quality tests for your assurance. Our technicians not just inspect the water tank, but also the water pipes, taps, shower head, faucets etc. to find any potential source of water contamination. Explanation: The Engineer explains the complete cleaning process to you and describes the scope of work required in cleaning the water tank and the complete water system which also involves the pipes, taps, faucets etc. Quotation: After consulting with technicians and the engineer, a detailed quotation is prepared which mentions the entire work to be undertaken and accomplished. DEWA Supply Cut Off: After discussion with you, an appropriate time is decided wherein the engineer cuts off the Dubai Electricity And Water Authority’s (DEWA) water supply to your home or offices. This ensures that the tank is empty when the technicians undertake the cleaning job. This is usually done 24 or 48 hours before the service. It also ensures minimum wastage of water. Notifications: Our state of the art information system keeps you informed at every step of the way during the whole process. For Example, you’ll get notifications of your service time, quotation, team’s arrival via SMS and/or email so that you are always ready. Arrival: The team arrives with appropriate gear and machinery to start preparing for the water tank cleaning and disinfection process. Don’t worry, you’ll be informed beforehand by one of our experts regarding the duration of the whole process. SaniH2O Water Tank Cleaning: The process of cleaning and disinfection gets underway. Suitable chlorination is achieved to disinfect the water lines. We employ a non-chemical disinfection and use Swiss imported products which are rigorously tested for your safety. The whole water tank system is cleaned including water lines and the parts which are not easily accessible. “Disinfection in Progress. Do not use water.” signages will be placed on the taps as an additional precautionary measure. Pumping: Excess water is disposed off using high pressure pumps out to the drainage system and internal surface of the water tank is scrubbed rigorously using Saniswiss S4 bio Detergent and rinsed with high pressure water. Neutralization: Once the tank and distribution lines have been disinfected, the NaOCl in the tank is neutralized using Sodium BiSulphite till the acceptable levels of Chlorine are attained in the water system. Clean up and Restoration: After the neutralization, all of the waste water is disposed into the sewerage system and fresh water is allowed to enter the tank. Once the tank is refilled and desired FCL has been achieved at all distribution outlets, the tank is ready to use, and all the water system components will be restored. Your premises are then put back in order and all tanks closed properly. 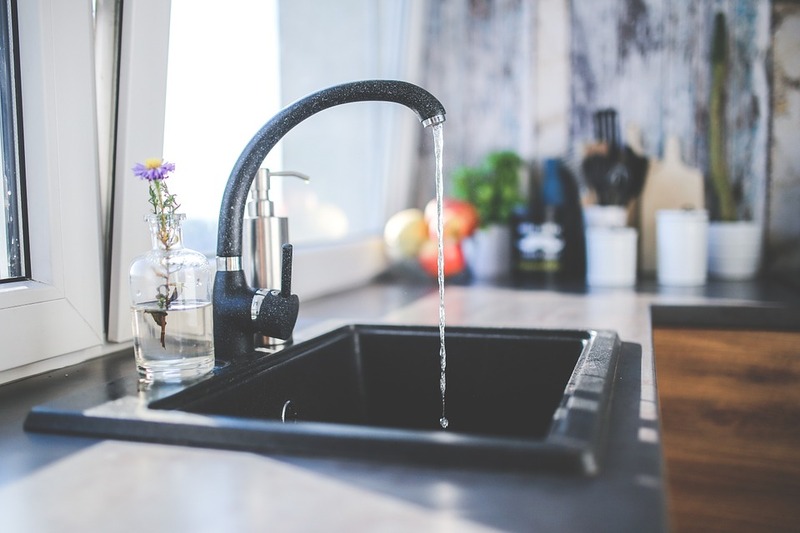 3rd Party Service Validation: To perfect our service, once the service is completed, a third-party inspector will be called-in for taking a sample of the water. This sample will be analyzed & tested for Microbiological Parameters (i.a. Aerobic Colony Count, Total Coliforms, Enterococci and Escherichia coli). Completion report & Feedback: The Analysis report is received and everything is fed into our information system. We then send you a comprehensive report with before and after pictures showing what was accomplished during the service. Complementary Follow-Up Service: Six months after the Water Tank Cleaning service, a complementary Inspection and Service is scheduled where we perform a service after which detailed report will be sent to you again along with before and after pictures of your water tank. This service ensures that the water in your homes is fit for everyday use. Simply put, don’t you think that this is simply the most comprehensive and detailed Water Tank Cleaning Service performed by any company in Dubai and UAE. If you’d like to have a water tank cleaning service done by Saniservice, click Book Now, leave your contact details and message and one of our Water Experts will be in touch with you shortly or you can call us directly at 800-SANI(7264).